LONG BEACH — “The Manzanar Fishing Club,” the acclaimed documentary film about fishing and freedom set in the World War II internment camp in Eastern California, is returning to the Fred Hall Shows in Long Beach and San Diego in March. 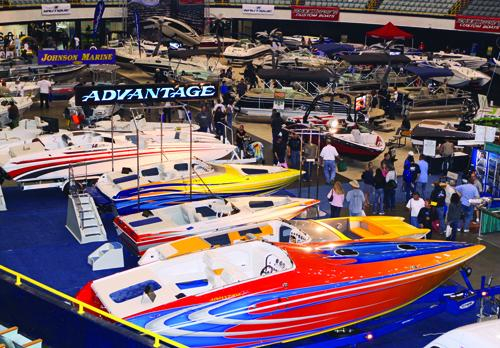 The Fred Hall Show is the nation’s largest annual fishing, camping, hunting and travel expo. “The Manzanar Fishing Club” has been a part of three of the last four Fred Hall Shows in Long Beach, each time marking a milestone in the progress of the project. The debut in 2009 introduced the documentary project to the fishing community at large with a spectacular exhibit featuring faux barracks walls festooned with vintage photographs, maps and tackle, most of it from the 1940s. The next show, in 2011, highlighted the project as the movie neared completion. Clips were shown, and the community’s appetite was whetted. The major role of the Fred Hall Show was demonstrated a year later when the world premiere of the completed movie was held at the Cinemark at the Pike Theatre within walking distance of the Long Beach Convention Center as the 2012 festivities were under way. A rousing film that tells the story of the World War II Japanese American internment through the eyes of internees who all shared a love of fishing, “The Manzanar Fishing Club” relates their story, set against the larger saga of the community’s imprisonment and persecution during the war. Seventy years after the stealth fishermen at the Manzanar camp in eastern California first slipped past the armed guards, barbed wire and searchlights to fish for trout in the surrounding waters of the Sierra Nevada, their story finally reached the big screen last year. The national premiere of the film was held in conjunction with last year’s Fred Hall Long Beach Show. And what followed was the most successful theatrical release ever for a documentary film on the World War II mass roundup of Japanese Americans on the West Coast and their subsequent incarceration in ten “relocation centers” across the western U.S. This year’s booth will boast another first — being located in the Eastern Sierra section on the main floor, close to Mammoth Lakes Tourism, which is sponsoring “The Manzanar Fishing Club” this year. “We have special ties with the Eastern Sierra, and we are always pleased to work with such great people,” Shiozaki said. The Fred Hall Show in Long Beach will be held March 6-10 at the Long Beach Convention Center, 300 E. Ocean Blvd. The San Diego show runs from March 21-24 at the Del Mar Fairgrounds, 2260 Jimmy Durante Blvd., Del Mar. Long Beach hours: Wednesday to Friday, March 6-8, from 1 to 9 p.m.; Saturday, March 9, from 10 a.m. to 9 p.m.; Sunday, March 10, from 10 a.m. to 7 p.m. Admission: $15 general, $14 for seniors, free for children 15 and younger with paid adult and for active military. San Diego hours: Thursday and Friday, March 21-22, from 12 to 8 p.m.; Saturday, March 23, from 10 a.m. to 8 p.m.; Sunday, March 24, from 10 a.m. to 6 p.m. Admission: $13 general, $12 for seniors (62 and over), free for children 15 and younger with paid adult and for retired and active military.